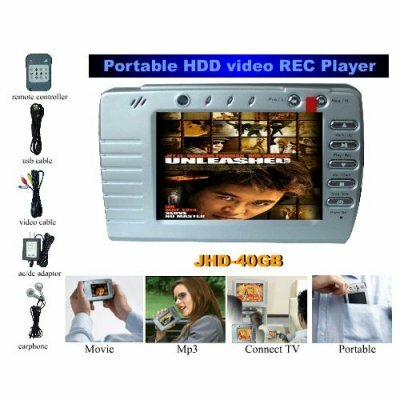 Successfully Added Hard disk Video Recorder, MPEG4, MP3, WMA Player 40GB HDD to your Shopping Cart. The JHD-40GB is designed to be the companion to your home entertainment system with the docking pod connect it to your television, you can easily connect your JHD-40GB to the pod as desired. Optionally, you can connect it to your computer with the included USB Cable.